The open source Kubernetes container scheduling and orchestration platform system is becoming widely used in microservices application development. Kubernetes is a powerful tool that helps make running microservices applications in Docker containers at scale more manageable. To complement this emerging approach, today we’re pleased to release our new NGINX Kubernetes Ingress Controller. This new capability provides enterprise‑grade delivery services for Kubernetes applications, enhancing interaction between the application and end users, and between the application and upstream resources. The NGINX Kubernetes Ingress Controller includes support for load balancing, SSL termination, URI rewrites, and other key application delivery features. Users of NGINX Plus get access to additional features such as session persistence and JWT authentication for APIs. The NGINX Kubernetes Ingress Controller has many of the characteristics of NGINX software. It’s fast to deploy and configure, runs efficiently in production, and has low resource utilization, even with large deployments supporting heavy loads. NGINX Plus users get support for the NGINX Kubernetes Ingress Controller at no additional cost, from the same award‑winning team that backs all NGINX Plus deployments. 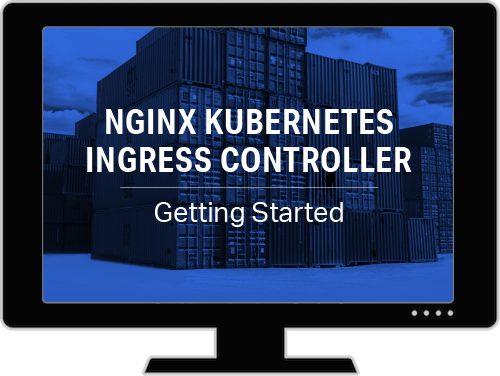 The NGINX Kubernetes Ingress Controller is important for making NGINX and NGINX Plus available for use in a wide range of development projects and emerging architectural solutions that incorporate Kubernetes. For instance, NGINX is announcing an Ingress controller solution for load balancing on the Red Hat OpenShift Container Platform. This new solution supports enterprise-grade application delivery, application management, and improved security for Red Hat’s OpenShift contain platform. You can find more details and a configuration example on our product page. To access a detailed overview and get the NGINX Kubernetes Ingress Controller, visit our Github repo. We welcome your feedback.